In response to our client who wish to have a true statement of Rich, Pure, Powerful, and Dedicacy SE monoblock amplifier, we have spent nearly six months in design and testing/refine all possible circuit / parts / trasnformer combination to created this new custom made WE300B PSE monoblock amplifier to become one of our finest creation and pushed our skills and imagination to the next level. 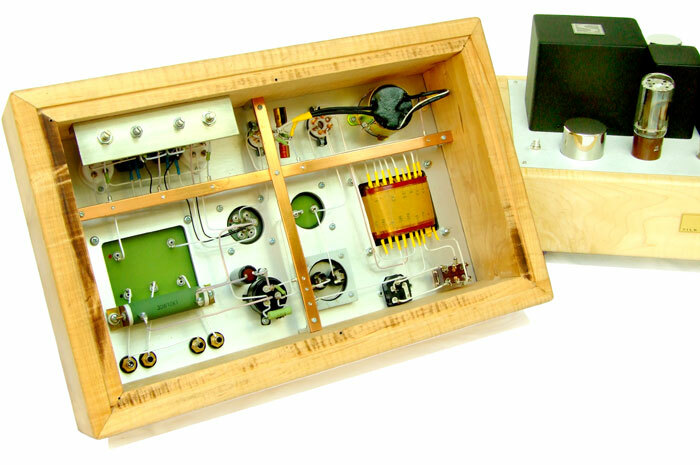 This amplifier combines the best of our knowledges in transformer design and making with the most simple, yet elegant amplifier circuit of all time, a single gain stage with Transformer coupling. All selected elements and parts are of highest quality due to the simplicity of the design, each component has very big impact to the final of the sound. With very simple circuit like this one, transformers' quality plays the most important role thus no compromise is allowed, even the DC transformer filter choke and main power supply transformer have to be design and made with a whole new way. Finally we are pround to be able to successfully build these amplifiers to exceed our customer expectation. These amplifiers are so valuable not only to our client as tools for the love and joy of music, but also to us as another tools to extend our knowledge in engineering and artistry forms. - Other parts include: Teflon-Gold Plated tube socket, Cardas Rhodium plated speaker binding post, Silver plated RCA connector etc. 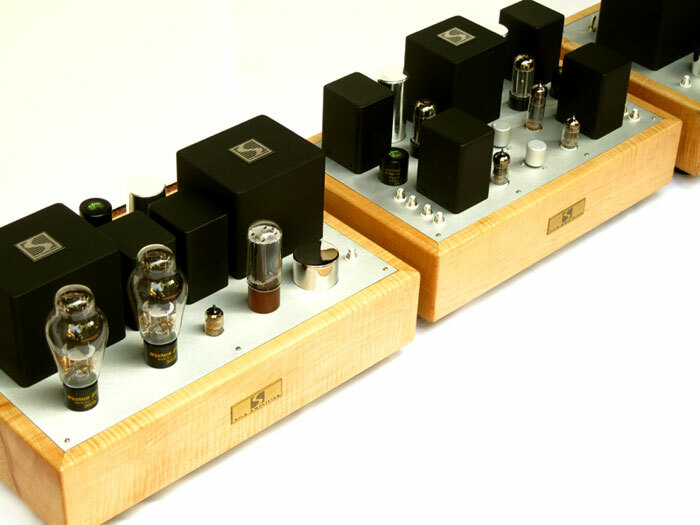 These monoblock amplifiers are not just a composition of expensive and ready to be bought parts from stores. With the ability and experience to design and make our own high performance transformer, we can create the combine all parameters from circuit , parts, and transformer characteristic to working together as a single unit. Many audiophiles nowaday are still lead to believe that "The sound and testing specification are not relevant at all" or "a bad sounding device can produce good/nice testing report". These believes are bonded deeply to most audio-mind to the point that many do not seem to care about any published specification. We hate to say but this believe simply helps all the sales of rubbish products at any price these days. The same propaganda, that took place during the 70s-80s when solid state devices dominated audio market, had lead us to believe that higher power amplifier sound better than low power amplifier (even of the same brand) and finding hundreds of Watt/channel audio system is normal. So most people wanted to buy hundreds of Watts amplifier and did not know what they really used. Until recent years, many audiophiles become aware that just only a few Watts of power is all that required to fully power-up an average sounding system in home to full music enjoyment. 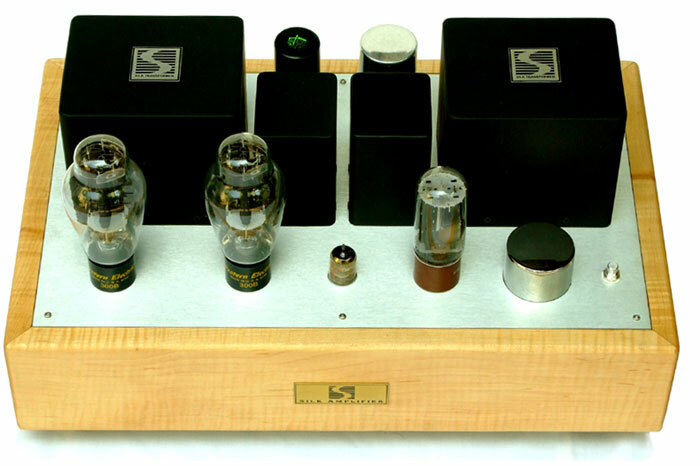 Since then vacuum tube amplifiers have been brought back to popularity again. Our philosophy here at SACThailand is to find ways to distinguish between all the Myths and the Facts in audio world. Once we are able to identify the Facts, we can develop tools for developing an exceptional sounding audio equipment and allow us to continue the improvement in the right path. We know that the need for critical listening test is the most crucial excercise but to be able to verify the listening result in quantitative numbers and be able to really understand what is going on inside the circuit with sophisticate test equipment yield unarguable result. By working from both artistry aspect and engineering aspect we know that we are able to develop unsurpass sounding equipment far better than just rely on the ears alone. So beware of many audio products that either lack of any concrete specification by claiming it's irrelevant, or some products that make claim in writing spectacular performance on a plain sheet of paper. Figure 1 illustrates FFT result of 1 watt output of 1KHz sinewave. Total Harmonic distortion is -49dB (0.35%). As clearly visible here, the harmonic is distributed mainly in 2nd harmonic and the small remaining in 4th harmonic. No sign of high order, odd harmonic distortion can be observed here. This is no doubt a good indication of a well-designed and implemented amplifier. As known to human that second harmonic and forth harmonic are not as disturbing as the odd order high harmonic distortion. Total Harmonic Distortion (THD) is the sum up of all harmonics in the measurement and presents a qualitative number in percentage of distortion to the fundamental signal, nice to read and understand but can be misleading since human do not perceive each harmonic combinations inthe same way. So an amplifier producing THD of 0.1% that composing of pure 9th harmonic will sound totally different to human when compare with another amplifier produce same 0.1%THD that composes purely the 2nd harmonic. 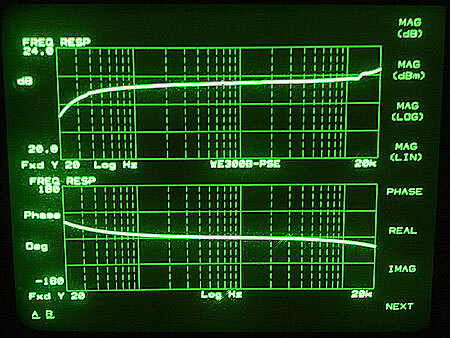 The ability to analyse and identify these data and to be able to confirm each finding by critical listening test greatly help us develop many new circuitries, optimum operation, even the new design and the making of each of our transformer to further explore the next possibility in making the better sound. 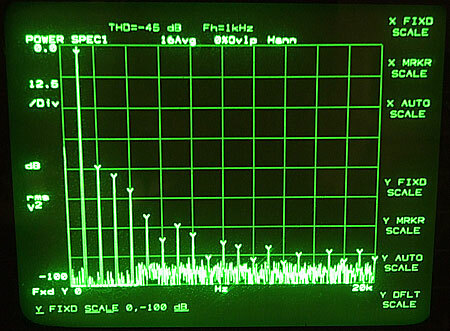 Figure 2 illustrates spectrum of 10 Watt rms which the amplifier still produce very low distortion (-45dB or only 0.56%). Harmonic character still does not change. Majority of low order harmonics are still observed here. 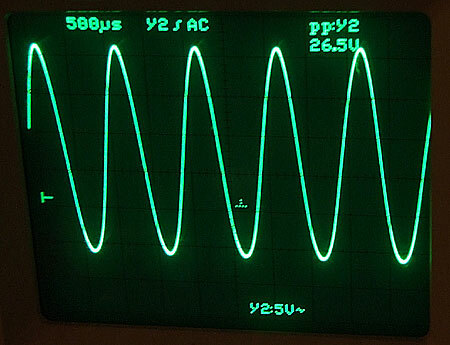 Figure 3 illustrates 1KHz sinewave at 26.5V peak-peak level (9.36Vrms) into 8 ohm load. This equals to 10.9Watt RMS. No sign of power clipping. 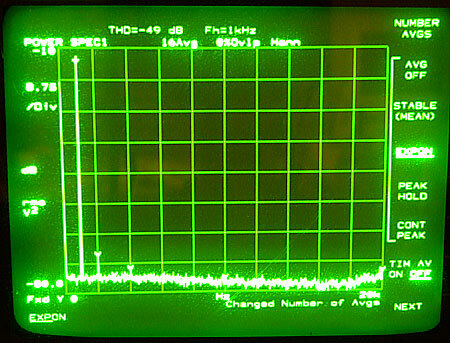 Figure 4 illustrates 1KHz sinewave at 33.4V peak-peak level ( 11.8Vrms) into 8 ohm load. This equals to 17.4 Watt RMS. 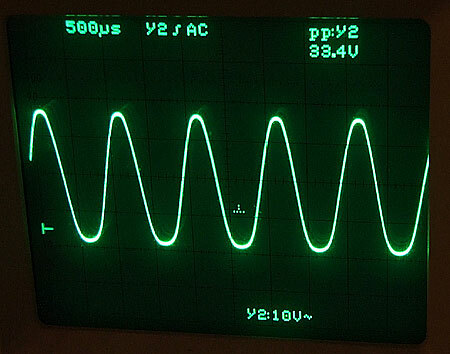 The amplifier soft clipping characteristic can be clearly observed here with round top and bottom of the waveform. This phenomenon produces low order harmonic characteristic. Figure 5 illustrates Frequency response vs Phase response from 20Hz to 20KHz. A small boost observed at +0.5dB at 20KHz is intentionally implemented in order to match with a complementary pre-amplifier (transformer coupled SILK L-531S and 6922 tube). This compensation is like what has been implemented in phono system (RIAA) where boost up high frequency is implemented on LP and compensation is implemented on phono stage RIAA circuit. The information presented here is for reference to our custom made to order product. Due to the scarcity of some exotic parts used with this type of product, the long implementation lead time, the cost of development, we could only produce this type of product on order-by-order basis. Variation to the configuration can be ordered to match each individual needs. Pls email us with your specific requirement. Custom made to order ONLY with 2-3 months lead time. Price and configuration can be adjusted based on customer request.